SCIWAY is holding five photo contests – one each for Allendale, Calhoun, Jasper, Marion, and Union counties – and we need YOU to help us pick the winners! Why did we chose these five counties? Well, they are all relatively rural and "off the beaten track." As such, they haven't been as well represented in the South Carolina Picture Project as, say, some of the larger counties like Charleston, Richland, Greenville, and Horry. 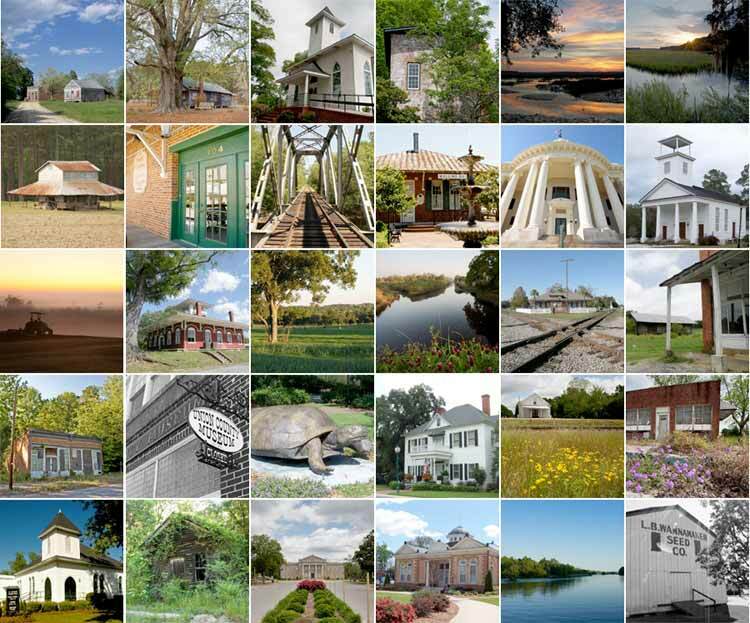 By the way, if you haven't seen the South Carolina Picture Project yet, it's an amazing collection of over 700 SC photos and paintings. By far the best and most diverse online gallery in our state, it offers hours upon hours of procrastination, education, and enjoyment! But first, take a moment to vote for your five favorite photos. We received 100 submissions in all, and we have painstakingly whittled these down to just six for each county. The most popular picture in each contest will win $50. Be sure to scroll down and look at all five entries before you place your vote. Voting ends May 18th at 5 PM. Winners will be announced in the May 20th edition of SCIWAY News.